I came up with this simple project to make my work a bit more time efficient. Every single time I have switched the saw or router on or off I had to switch on/off my dust extractor (vacuum cleaner) too. Why not to get it automated? 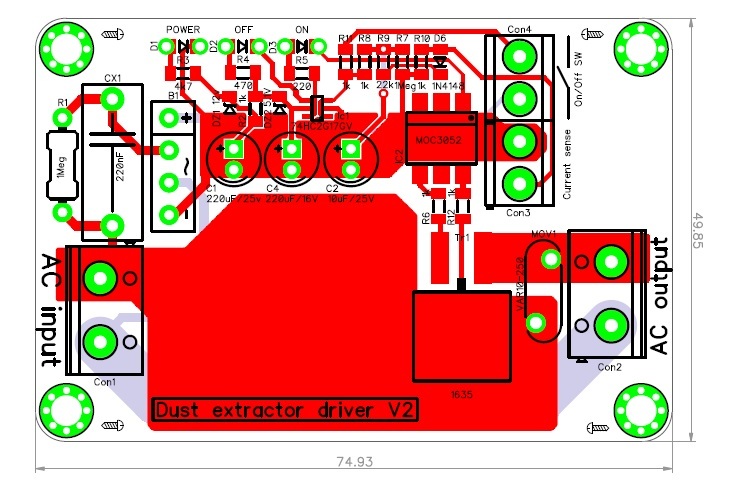 Basic idea of the circuit is very simple, current transformer detects current (about 2A required) flow through the plug strip and automatically dust extractor is switched on (immediately) and off (with approx 10s delay). The first prototype was made using relay but the second revision is using snubberless triac T1635 to improve reliability (no contacts, no arcing). 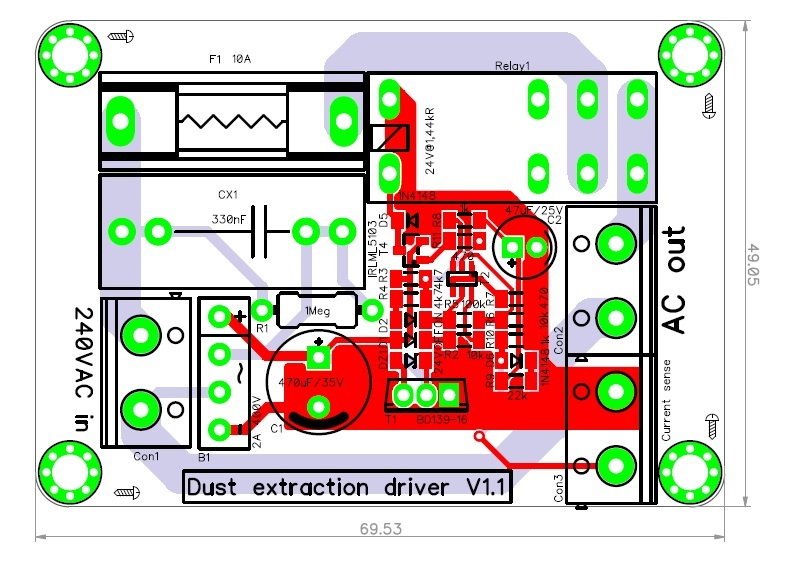 In the second revision I have added additional connector if someone would like to switch on the dust extraction manually.